More than 40 per cent of vets recalled seeing adverts in the past month featuring images of animals unable to exhibit normal behaviour. New guidelines to help advertisers identify common mistakes in portraying pets have been published by the British Veterinary Association (BVA). The guidelines, ‘Pets in advertising: A social concern’, aim to help advertisers and veterinary practices promote positive welfare across an array of companion animal species. 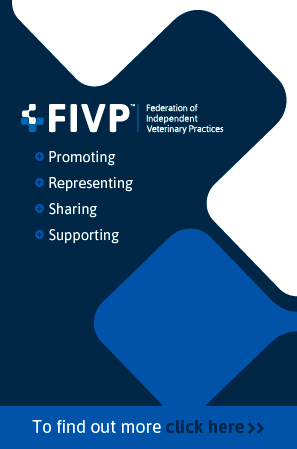 Supported by various veterinary and animal welfare organisations, the guidelines highlight good practice across each of the five animal welfare needs. They also call on vets overseeing shoots to consider how animals are being portrayed and to raise any concerns with the advertisers. The guidelines come after BVA’s Voice of the Veterinary Profession found that 44 per cent of vets recalled seeing adverts in the past month featuring images of animals unable to exhibit normal behaviour. A further 31 per cent of vets said they saw animals being depicted in an unsafe scenario and 24 per cent saw adverts showing animals in an unsuitable environment. To encourage advertisers to support BVA’s guidelines, the Veterinary Marketing Association has announced it will be introducing them for consideration across its judging criteria for its Annual Awards. In addition to its guidelines, the BVA is also calling on veterinary practices to contact brands using animals inappropriately. A template letter for veterinary surgeons and nurses to reach out to organisations can be downloaded from BVA’s website. 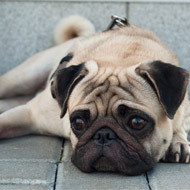 “Just like television or print adverts created by big brands, any inappropriate use of imagery in our client-facing communications also has the potential to normalise hereditary defects, poor welfare, and inappropriate diet and housing, as well as drive demand for certain breeds with physical and behavioural problems that are not always recognised by the public,” said BVA president Simon Doherty. “As an animal welfare focused profession, it is paramount that vets and vet nurses take the lead in ensuring clients are presented with visuals that support responsible pet ownership and positive animal health and welfare outcomes."